Emma Stettner and Cordnei Gibson are helping fellow Huskies dress for success. The NIU College of Business students are the co-founders of Barsema’s Closet, a new campus source for gently used business attire that will open its doors for business on Wednesday, Feb. 13. “This project is important to me because I believe that all students deserve the right to have access to nice business clothing no matter what their financial standing or transportation limitations are,” Emma Stettner, a senior from Crystal Lake, said. 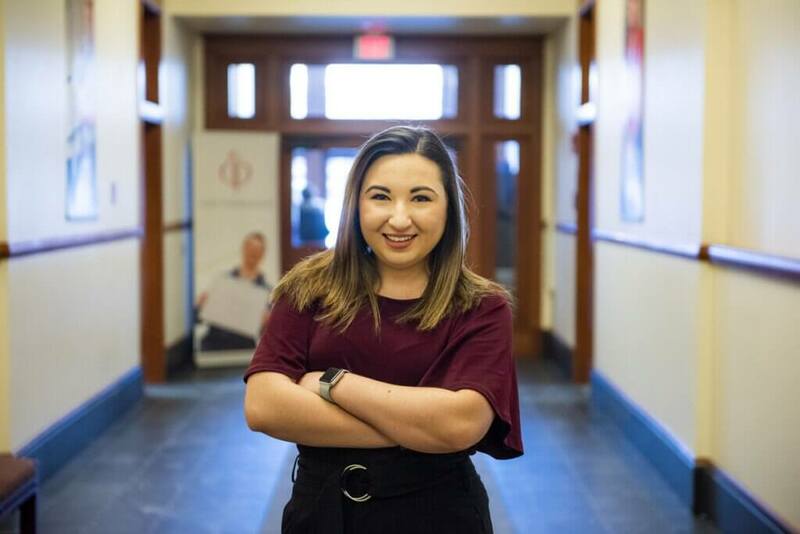 Stettner said as a freshman she needed to dress professionally when interviewing to be part of Delta Sigma Pi, a professional business fraternity. “Since I did not own any, and I was not prepared to go out and buy expensive business clothing, I ended up wearing the closest thing I could find in my closet,” Stettner said. Looking back, the white jeans, black tank top, and bright blue blazer she had from her high school speech team didn’t meet the standards for business attire. Stettner initially posed the idea for the project in 2017 during a College Business Dean’s Student Advisory meeting, where she is a member. Cordnei, also a board member, saw merit in the idea and offered her support. “This project is important to me because it is another resource within the College of Business that will help students thrive, be prepared and be confident in the business world,” Gibson, a senior from Canton, Michigan, said. Stettner and Gibson set their plan in motion, conducting market research, confirming a need and presenting their findings to faculty members in the College of Business. They chose to call it Barsema’s Closet in honor of NIU alumnus Dennis Barsema and decided to house it in Barsema Hall. After a year of planning, meeting with faculty, collecting clothes and gathering materials, the grand opening of Barsema’s Closet will take place Wedensday, Feb. 13, from 11 a.m. to 3 p.m. in Barsema Hall, Room 309. Dress shirts, blouses, dresses, ties, slacks, blazers, jackets, men’s and women’s suits, overcoats, dress shoes, purses, briefcases, portfolios, belts and dress socks will be available from $1-$25 depending on the item. Please email barsemascloset@gmail.com if you have questions or would like to make donations. Follow them on Twitter, Facebook, Instagram and LinkedIn @BarsemasCloset.